"Sudoku" is a logic-based, combinatorial number-placement puzzle. The objective is to fill a 9×9 grid with digits so that each column, each row, and each of the nine 3×3 sub-grids that compose the grid contains all of the digits from 1 to 9. What is the Sudoku game? What are the sudoku rules? Sudoku is a number puzzle where the objective is to fill every row, column and box (3x3 grid) with the numbers from 1-9. Each unit (row, column or box) must have each number exactly once. The game starts with a number of fields pre-filled. Your objective is to fill the rest of the fields without breaking the constraints that each number can only be once in each row, column and box. What are the Sudoku's terminologies? The whole puzzle area is called the grid, it is divided into rows (horizontal lines) and columns (vertical lines) made up of individual Sudoku squares. Rows: To save confusion we use letters rather than numbers to refer to rows and columns. The names are usually shown in the grid heading. Note: If we used numbers we would end up having to say things like in row 3 there is only one place for a 5 while in column 2 there are 3. Confusing isn't it? Using letters for grid references makes it easier to follow. Columns: Sudoku columns are given a lower case letter. Using row and column letters lets us unambiguously refer to squares. For example square He is row H column e.
Regions: A region is a block of nine adjacent Sudoku squares. The whole grid is made up of nine regions. Some Sudoku sites use the term "mini-grid"; "box" or "sub-grid" for "region". Groups: A "group" is a general term for a group of nine squares in either a row, a column or a region. How can I solve a Sudoku puzzle? The process of solving a Sudoku puzzle is to fill in the empty squares. Each puzzle has a single, "correct" solution, each unallocated square has one correct value from the 9 possible values. Sometimes it is fairly obvious what number must go in a square while other squares require a great deal of mental torture to solve. To work through all the possibilities it can take half an hour to solve one square! Much like placing a single piece in a jigsaw, there must be a place for a number to go but spotting the correct place may be easy or takes an age to do. There is no correct sequence of square allocations to make, different people use their own strategies to solve a Sudoku puzzle and so will solve the squares in a different sequence. However, the end result is always the same, there is only one unique solution, just many ways of getting there. Can I play Sudoku without installing this addon? 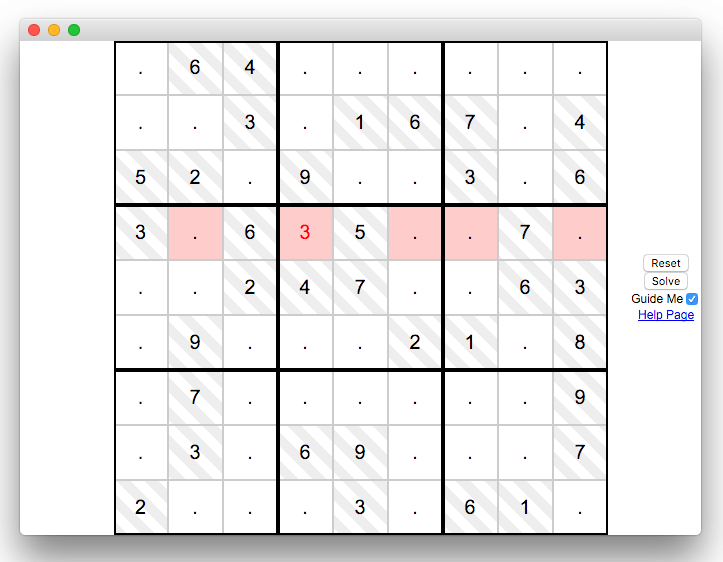 Yes, there is an online version of the game, http://games.add0n.com/sudoku/index.html.